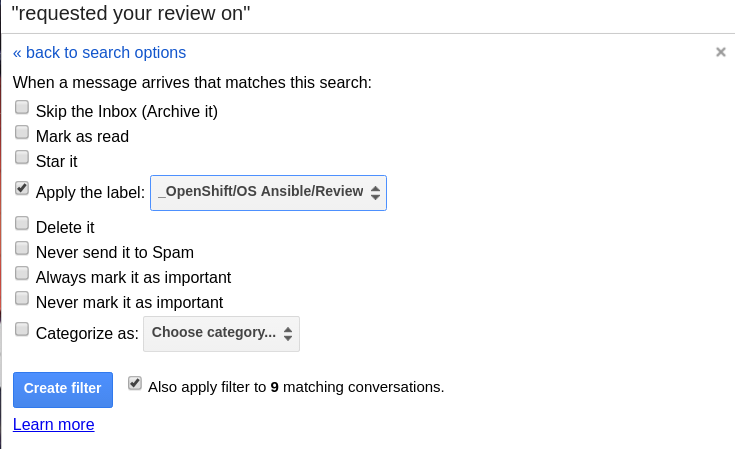 @kwoodson requested your review on: openshift/openshift-ansible#3130 Adding oc_version to lib_openshift..
That highlighted part there, requested your review on:, is the key. 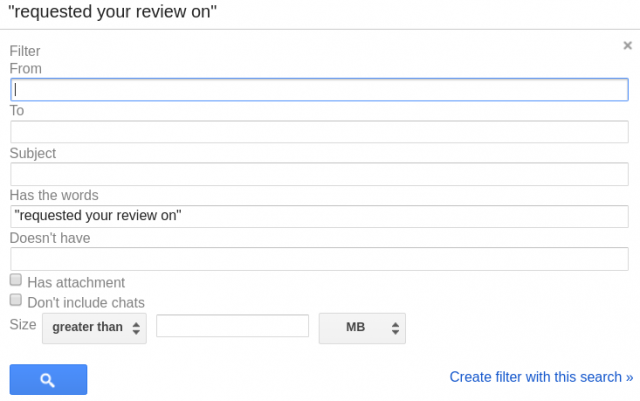 In Gmail we’re going to add a new filter. You can reach the new filter menu through the settings interface or by hitting the subtle little down-triangle (▾) left of the magnifying glass (🔍) button in the search bar. Labeling @mention‘s in Gmail is a little easier and less prone to error than the review request filter could be. It also follows a similar process.